A factor contributing to the uncertainty of war is that no two wartime conflicts are exactly alike. For this reason, military commanders need creative and flexible thoughts and actions to be successful in future conflicts. To that end, Vego also mentions that theory serves to clarify concepts or ideas and understand the past on a more broad and strategic level. For these goals to be met, Clausewitz stressed the importance of clear and simple definitions before attempting to create a theory. One definition of theory is “an explanation of a phenomenon arrived at through examination and contemplation of the relevant facts; a statement of one or more laws or principles which are generally held as describing an essential property of something.” Such a definition captures the fundamental attributes necessary to understand where to start. 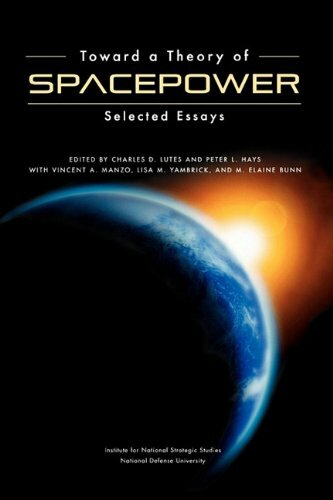 The edited work Toward a Theory of Spacepower presents differing perspectives from multiple scholars which contributes to a diverse body of knowledge. For example, in the second chapter, “On the Nature of Military Theory,” Harold Winton explains there are five components to any strong theory. The first is to “define the field of study under investigation,” separating and clarifying the realm of thinking for the discussion. For example, this article is concerned with theories relating to space, distinguishing it from other environments like air, land, or sea. The second task of theory is categorization. This works along with definition in that it further delineates what is to be studied and differentiates like and unlike concepts. Due to the broad and overarching topics that can be covered by the study of space theory, this additional level of descriptive detail becomes essential. In continuing with the present example, theory requires one to address utilization and manipulation of the space environment to achieve national political goals. While the previous steps were essential for developing a new theory, none are as important as the third function of theory: explanation. Critical thinking and analysis are where theories hold their value. It is here that new revelations are uncovered and clearly communicated so they may be properly applied. Explanation grasps the multitude of variables in various unique situations to prove how they relate and ultimately follow some defined trend. The fourth function is to connect fields of study. This step pairs previously unrelated fields and synthesizes them to make a new concept that carries with it practical applications. For example, Clausewitz famously connected war with politics when he titled a section, “War is Merely the Continuation of Policy by Other Means.” Later in On War, in a section titled “War is an Instrument of Policy,” he stressed the significance of the relationship between the two concepts. In this same sense, any unified theory of spacepower should be recognized as a subcategory of war and therefore serves as a means to achieve political goals. The final component of crafting theory is anticipation. It is not unreasonable to assume the purpose of theory is to predict what will happen in the future, but, the prediction might suggest a sense of certainty. Anticipation foresees what is to come but with a lesser degree of certainty. Theories dealing with humans must allow for contingency and variation, because people have free will whereas the sciences must have a higher standard of anticipation. In addition, Winton expresses that theories are simplifications due to the problem of being unable to account for every variable in a particular circumstance and the reality that very few variables remain constant overtime. Taking Winton’s framework seriously, defining spacepower is the first step in creating a unified theory. The author of On Space Warfare, David Lupton, says spacepower is “the ability of a nation to exploit the space environment in pursuit of national goals and purposes, and includes the entire astronautical capabilities of the nation.” Exploitation requires the nation has the technology and political freedom to act in a way that will secure its goals. Lacking a capability or willingness to exploit space and a coherent understanding of how it should or why it is necessary, a nation cedes the advantage to others. More importantly, a space theory is necessary because it will serve as a guide to influence policy and drive technological development. The need for a unified space theory is evident on this basis; however, such a theory eludes scholars due to the specific qualities and qualifications needed for the theorist to complete such a monumental task. Winton describes which characteristics an individual must exhibit to craft a theory for space. He echoes Gerald Holton’s Thematic Origins of Scientific Thought, who wrote, “The formulation of useful theory demands intense powers of observation, ruthless intellectual honesty, clear thinking, mental stamina of the highest order, gifted imagination, and other attributes that defy easy description.” Observational skills refer to the ability to notice all of the complexities associated with a given topic. Intellectual honesty means the theorist must be committed to finding the best answer even if it means suspending previous belief to determine the truth. The final characteristic involves a logical flexibility of thought sustained for a long period of time. While these are the general attributes a theorist requires, John Sheldon and Colin Gray provide more specificity. In a chapter titled, “Theory Ascendant? Spacepower and the Challenge of Strategic Theory,” from Toward a Theory of Space, Sheldon and Gray explain some of the factors that have prevented a unified theory of space from forming. Amongst others, one of their reasons is theorists usually have a background in social sciences or history and lack the technical knowledge to properly address their subject: “Any individual attempting to contribute to a theory of spacepower must have, at the very least, a working knowledge of orbitology and other principles of spaceflight.” While land, air, and sea might be relatively easy to conceptualize due to common everyday experiences in the natural world, space demands a more advanced technical understanding because of the unique physical properties present in an unfamiliar space environment. There are many variables and considerations, such as factors of the operating environment and the technological capabilities available, which must be taken into account when developing a theory of this nature. Furthermore, space theorists must be able to artfully blend their expertise in science and technology with philosophy, ethics, and the humanities in general to address national and international implications of spacepower. There have been some who have attempted to take on this monumental task, but it is clear there is still much more development necessary. For a unified space theory to be broadly applicable, it must encompass space capabilities as they relate to all the aspects of national power. For theories to reach their truest form, they must use pre-existing theories as building blocks. Sheldon and Gray summarize the works of three theorists who have developed their own theories for space. They praise James Oberg, the author of Space Power Theory, for his “comprehensive account of spacepower's [sic] role in everyday activities on Earth but falls short in his effort to outline its nature.” Sheldon and Gray relate Oberg’s key points as: the inevitability of the weaponization of space; the decisiveness or space control in future war; and the importance of space to reconnaissance and communications coupled with the drawback of vulnerability. Despite these points, “it lacks a comprehensiveness that links spacepower to national power in a manner that elucidates the nature of spacepower, and perhaps overly focuses on the technological dimension at the expense of others.” For a unified space theory to be broadly applicable, it must encompass space capabilities as they relate to all the aspects of national power. 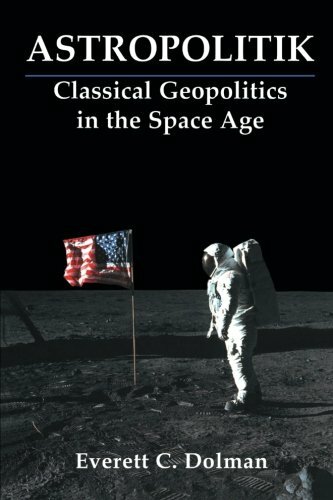 Everett Dolman, the author of Astropolitik, provides a space theory based on a geopolitical model. His argument centers on the necessity of capturing of strategically advantageous positions in space if one wishes to establish control. These areas are low Earth orbit, Geostationary orbit, Hohmann orbital transfers, and Lagrange Libration points L4 and L5 between the Earth and the moon. According to Dolman,for the United States and its allies to establish their presence in space, they must control—at a minimum—low Earth orbit. He then continues his theory from the perspective of the United States. Although it may have its merits, Sheldon and Gray criticized his work when they said, “Dolman's work cannot lay claim to be a comprehensive theory of spacepower, as its argument only resonates in the United States and lacks the universalism that marks all great works of strategic theory.” Therefore, a unified space theory must be broad enough to apply to any nation in order to make the history books. In contrast to the air and naval models focused on military operations in their respective domains, the maritime model is inclusive of all actions––civilian and military––within the sea domain. Maritime operations most closely reflect the space environment, because their military and civilian assets are so inextricably integrated. While his comparisons are relevant and enlightening, Klein only proposes illuminating analogies. Unfortunately, they cannot be considered a stand-alone unified theory for space. By drawing attention to the matter and providing some input, these theorists have laid the groundwork and paved a path to attain a space theory for whoever is to come next. To create a lasting and universally accepted unified theory of space power, all five of Winton’s components of a strong theory must be met in a way that accounts for the complex blend of the humanities and specialized space knowledge. According to Winton, any strong theory must define, categorize, explain, connect, and anticipate. Currently, there are at least three theorists who have attempted to produce a theory that can meet these specifications, but all have fallen short of the mark. Oberg’s theory is too technologically focused and fails to connect spacepower to national power. Dolman’s geopolitically based theory focuses too much on the United States and is therefore too limited due to the improper use of categorization. John Klein’s maritime-based theory is a strategic analogy and is thus insufficient in the explanation component due to the abridged level of critical thinking. These shortcomings do not detract from the merit of these endeavors, but there is more work to be done. This is a call to action. Due to the nature of theories, no effort is wasted. As they are studied, analyzed, and criticized, theory improves with each reiteration. Take the works of the past and use them as the foundation for a new space theory that will receive the approval of the public and stand the test of time. If a proper unified theory emerges, it will be codified and a coherent plan for every nation can be implemented and each can posture for strategic success as they see fit. Then humanity’s great curiosity of the cosmos may be be satisfied, even if only for a moment. Isaiah Honable is a U.S. Air Force Academy cadet. The views expressed are the author’s alone and do not reflect the official position of the U.S. Air Force Academy, the U.S. Air Force, the Department of Defense, or the U.S. Government. Milan Vego, “On Military Theory.” Joint Force Quarterly, no. 62 (2011): 60, accessed February 11, 2018, http://www.au.af.mil/au/awc/awcgate/jfq/vego_military_theory.pdf. Carl Von Clausewitz, On War, eds. Michael Howard and Peter Paret (New Jersey: Princeton University Press, 1976), 132. John Simpson, “Theory.” In The Oxford English Dictionary. Oxford: Oxford University Press, 2018. http://www.oed.com/view/Entry/200431?redirectedFrom=theory#eid. Harold Winton, “On the Nature of Military Theory,” in Toward a Theory of Spacepower, eds. Charles Lutes and Peter Hays, (Washington D.C.: National Defense University, 2011), 15, http://ndupress.ndu.edu/Portals/68/Documents/Books/spacepower.pdf. Richard Ganske, “Theory Properly Constructed: A Starting Point for our Personal Theories of Power,” The Strategy Bridge, no. 1 (2014): np., accessed October 21, 2018, https://thestrategybridge.org/the-bridge/2014/5/26/ptop-theory-properly-constructed?rq=Ganske. Harold Winton, “On the Nature of Military Theory,” in Toward a Theory of Spacepower, eds. Charles Lutes and Peter Hays, (Washington D.C.: National Defense University, 2011), 15-17, http://ndupress.ndu.edu/Portals/68/Documents/Books/spacepower.pdf. David Lupton, On Space Warfare: A Space Power Doctrine, (Alabama, Air University Press, 1998), 15. Gerald Holton, Thematic Origins of Scientific Thought: Kepler to Einstein, (Massachusetts: Harvard University Press, 1988), 353-380, as quoted in Harold Winton, “On the Nature of Military Theory,” in Toward a Theory of Spacepower, eds. Charles Lutes and Peter Hays, (Washington D.C.: National Defense University, 2011), 18, http://ndupress.ndu.edu/Portals/68/Documents/Books/spacepower.pdf. John Sheldon and Colin Gray, “Theory Ascendant? Spacepower and the Challenge of Strategic Theory,” in Toward a Theory of Spacepower, eds. Charles Lutes and Peter Hays, (Washington D.C.: National Defense University, 2011), 300-305, http://ndupress.ndu.edu/Portals/68/Documents/Books/spacepower.pdf. Everett Dolman, Astropolitik: Classical Geopolitics in the Space Age, (London, Frank Cass, 2001), 65-68. John Sheldon and Colin Gray, “Theory Ascendant? Spacepower and the Challenge of Strategic Theory,” in Toward a Theory of Spacepower, eds. Charles Lutes and Peter Hays, (Washington D.C.: National Defense University, 2011), 307, http://ndupress.ndu.edu/Portals/68/Documents/Books/spacepower.pdf. Catledge and Powell reference Mahan for a model of sea power. Alfred Mahan, The Influence of Sea Power upon History, 1660–1783 (New York: Hill and Wang, 1963), 2. John Hattendorf, The Uses of Maritime History in and for the Navy, (New York: American Naval Records Society, 2003), 20, http://www.ibiblio.org/anrs/docs/V/1201hattendorf_usesofmaritimehistory.pdf as quoted in John Klein, Space Warfare: A Maritime-Inspired Space Strategy, (London, Frank Cass, 2004), 36, http://www.dtic.mil/dtic/tr/fulltext/u2/a421953.pdf as quoted in Maj Burton Catledge (USAF) and LCDR Jeremy Powell (USN), “Space Power Theory,” in AU-18 Space Primer, United States. Department of Defense. Air Command and Staff College, (Alabama: Air University Press, 2009), 36, https://www.airuniversity.af.edu/Portals/10/AUPress/Books/AU-18.PDF. John Sheldon and Colin Gray, “Theory Ascendant? Spacepower and the Challenge of Strategic Theory,” in Toward a Theory of Spacepower, eds. Charles Lutes and Peter Hays, (Washington D.C.: National Defense University, 2011), 308, http://ndupress.ndu.edu/Portals/68/Documents/Books/spacepower.pdf.